Your moving date is set and you will begin loading your portable moving container soon after it is placed in your driveway. Moving containers are a great way to get your stuff packed and moved, saving you money. 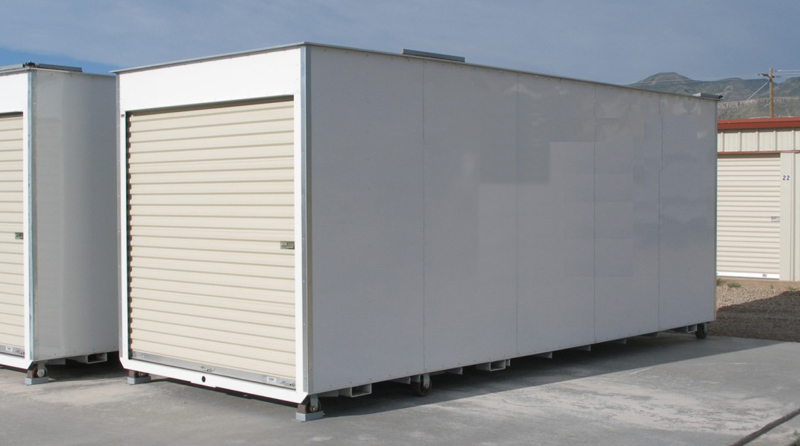 Although these containers can work out for most people, some planning on your part will ensure that your unit is packed like a pro. 1. Assemble your supplies. The moving container company may offer certain supplies to you in a bid to help you accomplish your move. These supplies include paper and furniture pads, stretch wrap, loading straps and a dolly. If you can’t get these items from the container company, then secure them on your own. 2. Inspect your container. Before you load a single item, you should inspect the interior of the container to gauge the lay of the land. Ensure that the container is swept clean and that all hooks and tie downs are present. Visualize what you will place in the container and where these items will go advises Smart Box Storage. 3. Obtain your packing supplies. Beyond the supplies mentioned in the first point, there are packing supplies you will need to obtain too. Again, these items are typically available from the container company, but at a cost. You might acquire packing boxes for free by visiting local hardware and home stores, warehouse clubs and large retailers. Look for the sturdiest of boxes, those that can hold your heavy items and be stacked inside the container. You will also need scissors, sealant tape, packing bubbles, markers and labels. 4. Load heavy items first. If you plan to bring with you major appliances, such as a washer and dryer, refrigerator, couches and other large furniture, these should be placed in the storage unit first. Evenly distribute such items around the perimeter of the unit to ensure weight and balance. Then, put the heaviest boxed items on top of the furnishings or fill in the open places on the floor. Correspondingly lighter items will go on top of the boxes. 5. Secure your container. Likely, it may take days or even weeks before your container is filled and ready to be shipped. It is important that your container be secured at all times as someone may be watching your every move. The last thing you want is to have items picked off as you are getting ready to move. Keep it secured whenever you are not present. 6. Some items are not shipped. Not everything you want to bring with you can be shipped in a storage container. It is important for you do understand what those items are and endeavor not to bring them. For example, flammables are not shipped nor are hazardous items. If you are transporting your riding mower, all fluids should be removed. Check with the container company to obtain a list of do not ship items and follow it carefully. You will be held liable if you break that requirement and something happens enroute. Packing takes a lot of time and requires you to carefully load the container. It may also be something you should do with the help of friends. Ask for assistance on those days when you know that you will be doing the bulk of your loading. You will get more done and feel less stress as you accomplish your move. Finally, obtain quotes from multiple container companies before you choose one. Compare each estimate and ask for references. Don’t forget to add taxes and any storage charges that might be assessed if you need to store the container before you arrive at your destination.